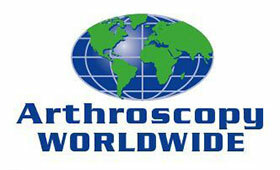 Arthroscopy Worldwide is a non-profit organization founded by Dr. Steven Meier, a Los Angeles orthopedic surgeon in 2003. 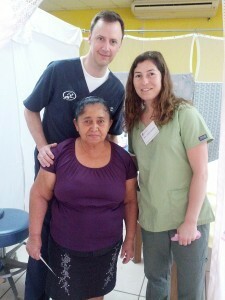 The purpose of Arthroscopy Worldwide is to encourage the usage of and disseminate the proper techniques for advanced-level arthroscopic surgery throughout the world, especially in developing regions of South America, Europe, Asia and Africa. 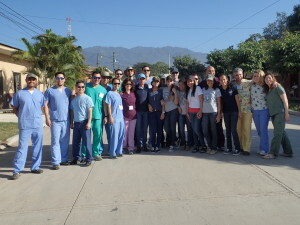 Dr. Meier, and an ever-changing group of volunteer surgeons and practitioners (including his brother, Jeffrey Meier, DO), donate their time and experience to Arthroscopy Worldwide by regularly traveling the globe in order to bring state-of-the-art, minimally invasive surgical techniques to emerging societies. 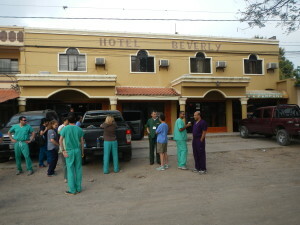 This is accomplished not only by performing surgery in these areas but also by sharing the latest surgical practices with local surgeons so they are not only exposed to these techniques, but are able to safely continue to perform these advanced procedures after the Arthroscopy Worldwide team has departed. 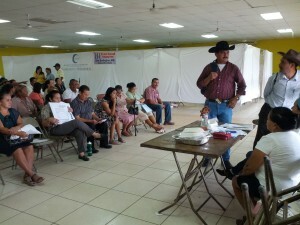 Dr. Meier makes arrangements for his group to train interested physicians at their local hospitals, so long as there is provision for the basic infrastructure required in order to carry out these procedures. 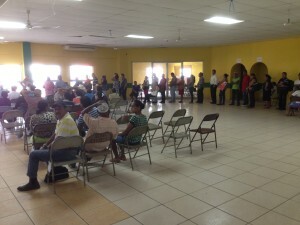 Companies like DePuy Mitek and Arthrotek help make this all possible by donating and providing for much-needed surgical implants, instruments, equipment, monitors and arthroscopes as well as arthroscopic fluid management systems, which are critical to the process. Because arthroscopic surgery depends on both equipment as well as technique, it is very important that, in order to continue arthroscopic surgery in that area for the benefit of their patients, the hospitals commit to obtaining and maintaining the necessary equipment. On rare occasions, however, Dr. Meier and his team have had to make do without some equipment. During one trip to Egypt, there were simply no fluid pumps available for their use. Instead of losing the opportunity to teach, however, the team had to become creative in order to accomplish their tasks. Thanks to some well-executed improvisation, the operating room staffers took turns irrigating the procedure manually – holding and squeezing fluid bags during a two-hour procedure. 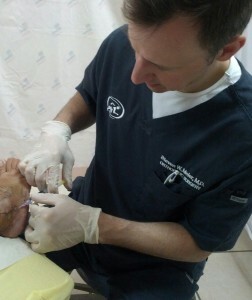 Whatever the obstacles to imparting knowledge and implementing the use of these less invasive techniques, Arthroscopy Worldwide makes sure they are overcome. In addition to teaching his innovative methods, Dr. Meier also trains surgeons to prepare for a regular load of advanced arthroscopy procedures. 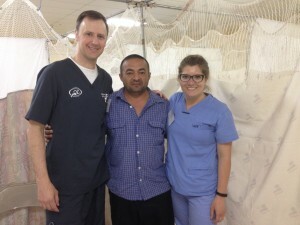 He even helps surgical programs prioritize which essential equipment to purchase first. Arthroscopy Worldwide also offers translation services (for instruction manuals) from another regular volunteer, Francesca Mercado, a surgical technician from New Jersey, who is multilingual. Teaching knee and shoulder arthroscopy in developing parts of the world and coordinating everything needed to conduct that kind of training is a challenge that Steven W. Meier, M.D. enjoys. 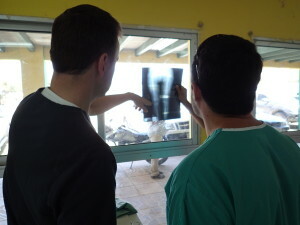 He has proved to be an excellent instructor, and the delight he experiences in helping others learn new arthroscopic techniques and improve upon their current surgical skills is very clear while watching him work. In addition to offering cutting edge arthroscopic surgery, and regenerative medicine for orthopedic and sports injuries treatment in Los Angeles, Dr. Meier is working to share the resources and expertise of Meier Orthopedic Sports and Regenerative Medicine with needy patients around the world. 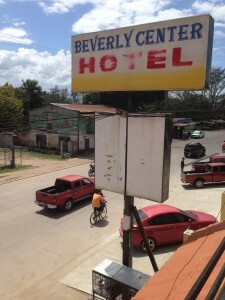 Dr. Meier recently traveled to Honduras with an international delegation of doctors and medical professionals, as part of the Hackett Hemwall Foundation’s annual teaching and service trip to the region. 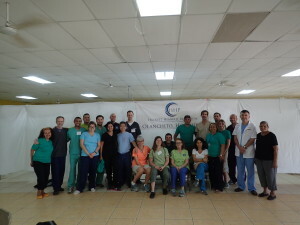 Along with providing local residents with desperately needed care, the trip was also an opportunity for Dr. Meier to collaborate with colleagues on the latest advancements and developments in prolotherapy, a regenerative procedure used to treat chronic joint pain and deterioration in professional athletes and individuals with highly active lifestyles. Prolotherapy works by injecting a solution into weakened joints, ligaments, and tendons to alleviate pain and stimulate healthy tissue growth. Regenerative medicine treatments like prolotherapy can be an effective treatment option for joint pain, severe ligament strains and tears, and tendonitis. Rehabilitation and recovery time is typically shorter and less complicated with prolotherapy than with other surgical procedures. 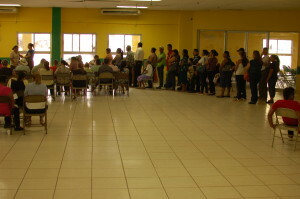 The program in Honduras included treating patients at various temporary clinics throughout the areas of LaCeiba, Olanchito, and Tela. After a long day of patient care, Dr. Meier and his colleagues participated in a series of dinners and lectures covering the latest advancements and potential applications for prolotherapy treatment. It was an opportunity for Meier Orthopedic Sports and Regenerative Medicine to offer exceptional patient care and treatment to local residents, as well as to expand on Dr. Meier’s knowledge of regenerative medicine techniques for his patients in Los Angeles. For more information on how regenerative medicine can help you, contact Meier Orthopedic Sports and Regenerative Medicine today at 310.736.2793, or make an appointment online. Next, read about our Los Angeles community efforts.